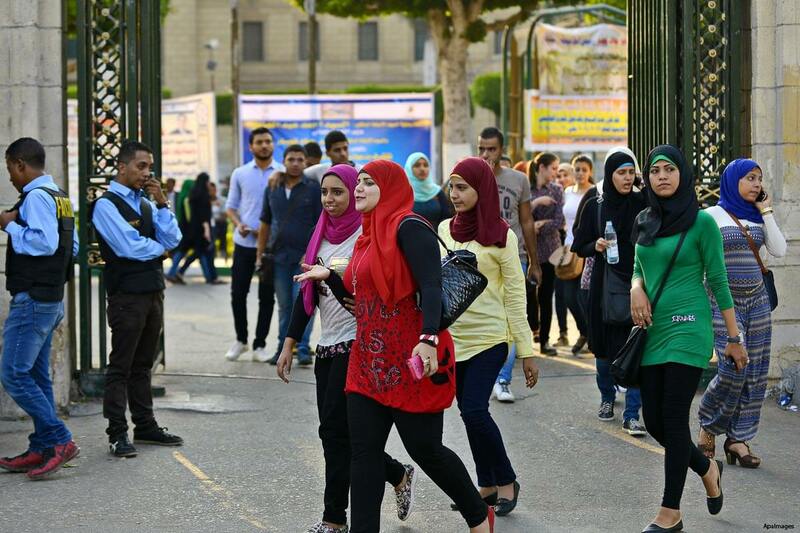 Students at Cairo University (Photo: mena-forum). ASSIUT—After three years of study at Alexandria University, Ahmad Saleh, a 26-year-old pharmacist, had to abandon his goal of earning a master’s degree in pharmacy. After the Egyptian government floated the national currency in November 2016, he said, the plunge in the Egyptian pound’s value and the resulting increases in the cost of studying and conducting research made reaching that goal impossible. “I had planned to spend 25,000 Egyptian pounds (worth about $2,700 before November 2016, now about $1,400), but after the flotation of the currency, I found that my expenses were going to double, so I decided not to continue,” he said. The laboratory fees are not the only hidden costs of pursuing an advanced degree, students and professors say. Textbooks and other expenses add up. “In addition to registration fees, unfortunately, students have to pay large amounts of money outside the university to complete their research and accomplish their studies on time, and that is unfair,” said Lubna Abdul Mageed, a professor in the faculty of social work at Helwan University. This adversely affects many students who would like to pursue master’s degree or doctoral programs. Many students believe the increase in cost is not reflected in the quality of the education they receive. “The increase in tuition is unjustified, especially that the courses we attend are meager and are not up-to-date with scientific developments,” said Lamia Fouad, a 2014 graduate of the pharmacy faculty at Cairo University who works for the ministry of health. Undergraduate education at public universities is free, under the Egyptian constitution. However, students are required to pay annual registration fees in addition to other costs related to buying books and reference works, transportation and other essentials. Universities have increased fees for students at all levels. Research by Al-Fanar Media shows that tuition in science and humanities disciplines at Cairo University and Assiut University rose by 25 to 30 percent in the past year. In the theoretical disciplines—that is, subjects that are taught in a classroom rather than an equipped laboratory—fees rose from 1,200 Egyptian pounds (about $70) to 1,520 Egyptian pounds ($86) for master’s degree courses, and from 1,500 Egyptian pounds to 1,895 Egyptian pounds ($107) for doctoral programs. In the practical disciplines, fees rose from 1,800 Egyptian pounds to 2,270 Egyptian pounds ($129) for master’s degree programs and from 2,250 Egyptian pounds to 3,257 Egyptian pounds ($184) for doctoral programs. “I pay 3,000 Egyptian pounds each year in registration fees for the Ph.D., in addition to the expense of buying books and study materials and transportation expenses which reach about 10,000 Egyptian pounds per year,” said Alya Abdul Gheni, a doctoral candidate in social sciences at Cairo University. Despite the increase in the average annual income per person in Egypt from $1,300 in 2000 to $3,400 in 2015, the poverty rate rose from about 17 percent to 28 percent during the same period, according to research published by the Central Agency for Public Mobilization and Statistics in July 2016. The poverty rate continued to rise after the decision to float the Egyptian pound in November 2016. Master’s degree and doctoral students say that the fee increases are not officially announced in a timely manner. Students find out about them when they register at the start of the academic year, and are not prepared to pay them. “I was surprised this year that I had to pay 2,300 Egyptian pounds instead of 1,500, and that I must pay it before the month of September, or else I would be ejected from the university for defaulting in paying the tuition,” said Fahmi Saleh, a master’s degree student in the archaeology department at Kafrelsheikh University. Library fees for books and other reference works, in addition to the cost of transportation, could reach about 600 Egyptian pounds per month, he said. Mohamad Kamal Al-Gizawi, a professor at the education faculty at Kafrelsheikh University, thinks that the increase in fees for master’s degree and doctoral programs in the last two years is due to the desire of government-run universities to find new sources of income, in response to insufficient government funding. Al-Gizawi thinks the rising cost of advanced degrees may have some benefits. 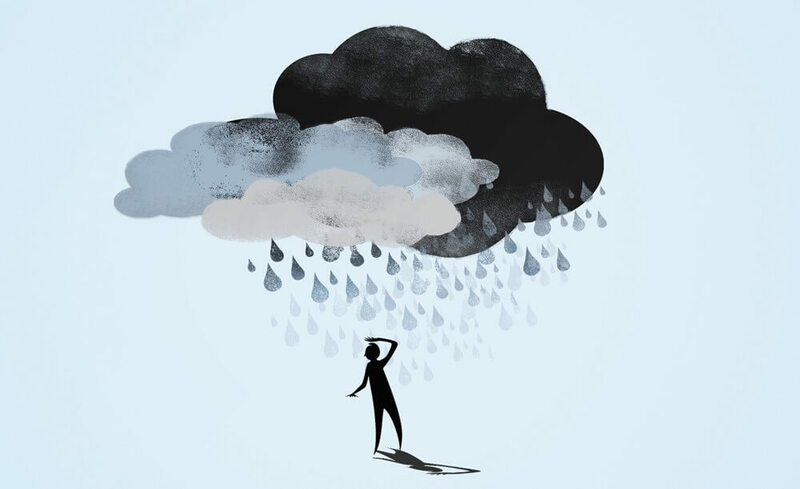 “The unavailability of job opportunities leads to the increase in the number of postgraduate students, which jeopardizes the scientific level, and thus quantity increases and quality decreases,” he said. “Raising fees is a must in order to limit the number of applicants in postgraduate studies. That way, only distinguished students will be admitted and given scholarships to help them pursue their studies,” he said. For his part, Ahmad Abdul Razzak, a graduate of the pharmacy faculty and coordinator of a Facebook page for master’s degree and doctoral students in the faculties of pharmacy at Egyptian universities, said that the increase in registration fees and study expenses is, in fact, intended to reduce the number of students holding master’s degrees and doctorates. Dropping the Right to Free Education?